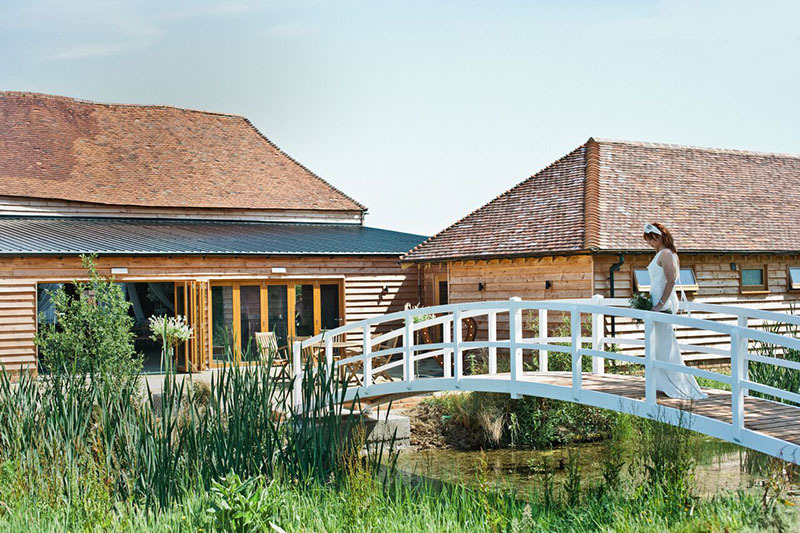 The Cherry Barn is located in a 400 acre working farm, within an Area of Outstanding Natural Beauty. 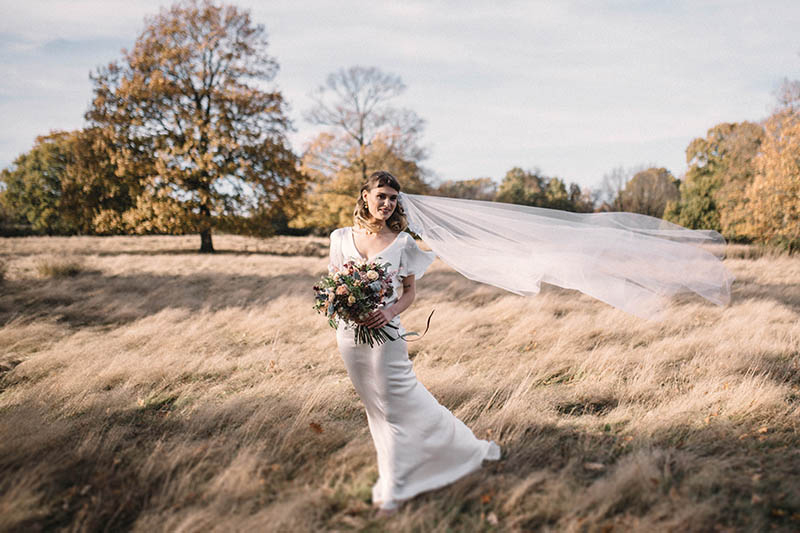 The venue is set in the High Weald and is only a seven-minute drive from the medieval town of Rye and a short stroll from the Norman church in Peasmarsh. 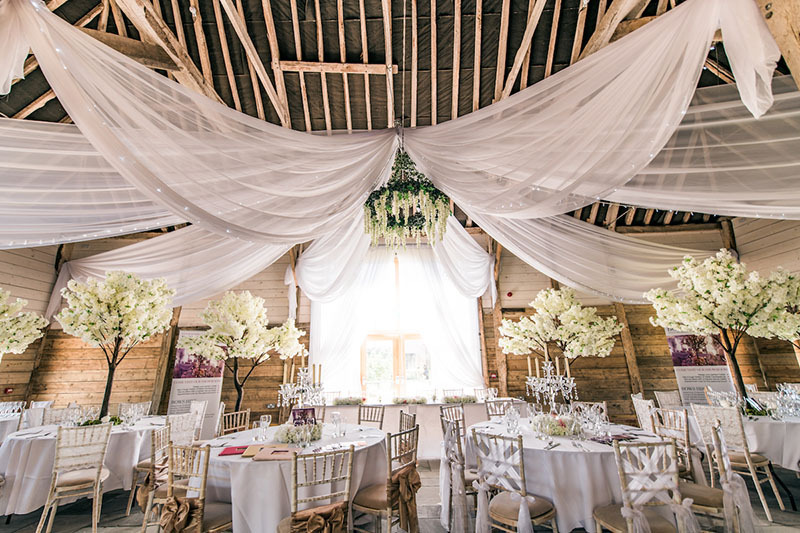 The Cherry Barn, with its backdrop of orchards and farmland, is a stunning rural retreat for any wedding or event, but is within easy reach of London. The Cherry Barn is a beautiful, restored 17th century barn. The original traditional oak-framed barn has been fitted with full-height glass doors and windows that overlook the orchard and give extensive views of the surrounding countryside. 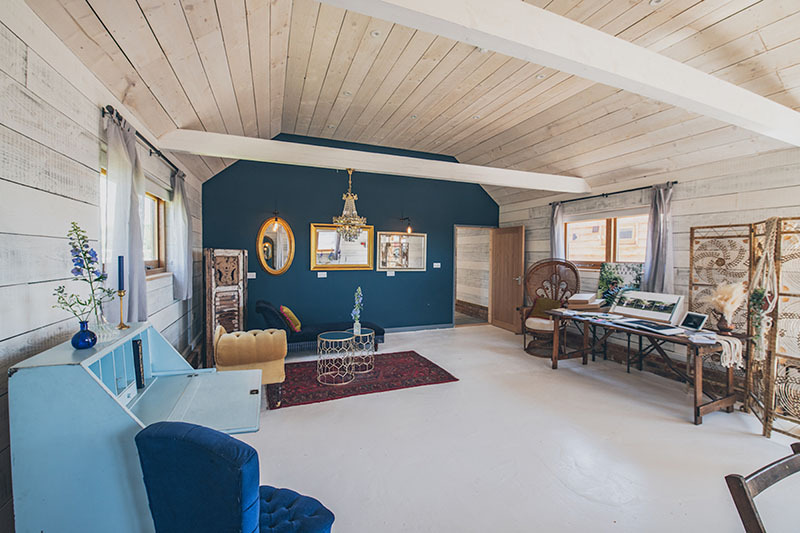 The Cherry Barn is truly a blank canvas where couples can make it their own. They offer exclusive 48-hour hire periods and can seat up to 150 guests comfortably. 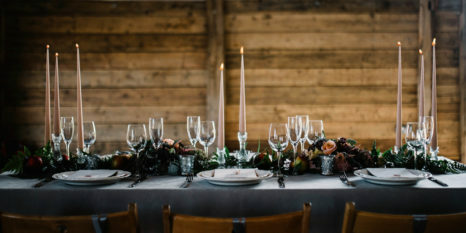 The Cherry Barn is licensed for weddings but for those wanting a religious ceremony, the Norman church of St Peter and St Paul in Peasmarsh is only a short stroll away. 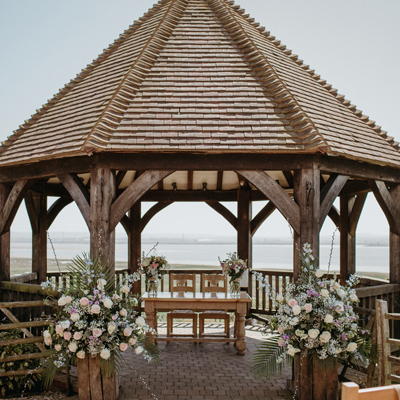 Their oak framed gazebo means they can also offer outdoor ceremonies. The Cherry Barn still have two weekends available for the summer of 2019; the weekend of the 1st of June, and the weekend of the 24th of August. This is a beautiful wedding venue with stunning views. We got married here in August and I may be slightly biased, but this place was incredible. 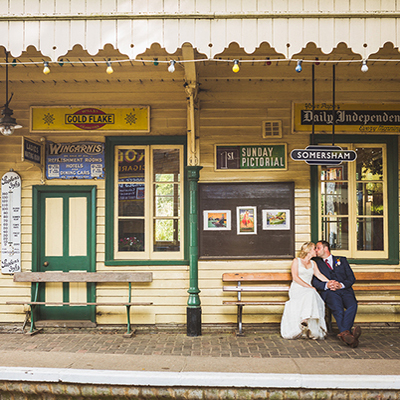 Our guests thought it was an outstanding venue, just as much as we did! Mel and Steve are amazing and very accommodating! We feel very lucky to have had the opportunity to be one of the first couples to get married here! I'm sure the first of many couples to follow in our footsteps! What a Stunning venue! Beautifully done!